Trustees met at the Kenora Education Centre on Tuesday, April 9, 2019, for a regular Board Meeting. The April Kids Come First presentation titled ‘Valleyview Entrepreneurship Program’ was received by Trustees. Lisa Achilles, Principal of Valleyview Public School, Valleyview students, and Cierra Parkhill, Lake of the Woods Business Incentive Corporation (LOWBIC), shared their recent learning with Trustees. Valleyview Public School has introduced a focus on business and entrepreneurship in partnership with LOWBIC through the Head Start in Business program. The goal of the program is to create learning environments that expose students to entrepreneurship experiences. The creativity and experiences shared by the students through programs like Be a Business Bee (Kindergarten-Grade 2), Create a Business Logo (Grades 3-6), and Kids Invent Program (Grade 6), impressed the Board of Trustees. 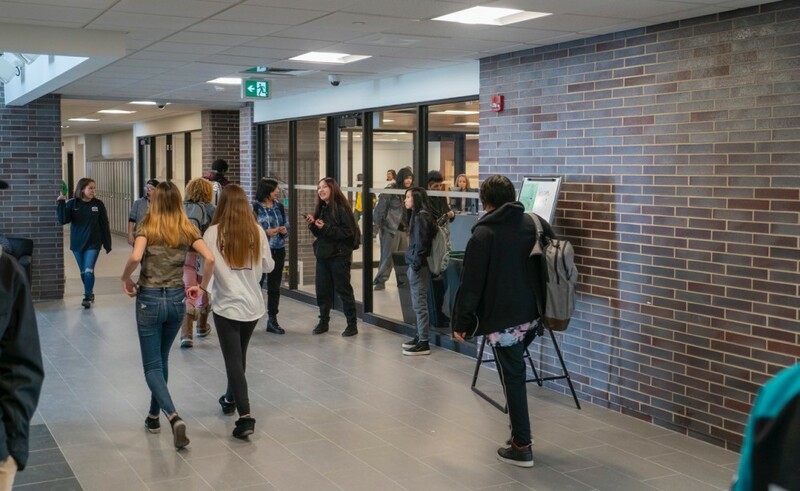 With programs also available for intermediate and secondary students, there is no shortage of opportunities for program expansion in KPDSB schools. Components of the program are also available in French to support French Immersion students. Trustees thanked the presenters and expressed their hope to see more of this programming in schools in the future. The introduction of more than 400 Chromebooks in all primary grades with purposeful planning as to which applications will best meet student learning needs. The implementation of the G Suite set of educational tools from Google to support online classroom environments that allow for access to learning anytime and anywhere. Leveraging technology to collaborate across the region and beyond using video conferencing software that enables teachers to bring experts from various fields into classrooms, and helps students to develop global connections with students all over the world. Fostering creativity and critical problem-solving skills in students across the Board including providing more STEAM-focused learning opportunities through hands-on Makerspaces, computer coding and robotics. Integrating design technology into schools like 3-D printers and plasma cutters that allow students to learn with industry-standard tools. Ensuring on-going professional learning for staff through Learning Technology Champions at each elementary and secondary school who work with the Technology Enhanced Learning Teacher to mobilize and support the purposeful integration of technology for teaching and learning. Richard Findlay, Superintendent of Business, presented an update on the KPDSB’s migration to new financial/accounting software called Sparkrock. Implementation began in October 2018 with a planned go-live date of July 1, 2019. Benefits provided by Sparkrock include cloud-based accessibility from anywhere with internet, timely and accurate financial reporting resulting in more informed decision making, and electronic approval routing for invoice payments, purchase orders and expense claims, making financial processes much more efficient and streamlined. 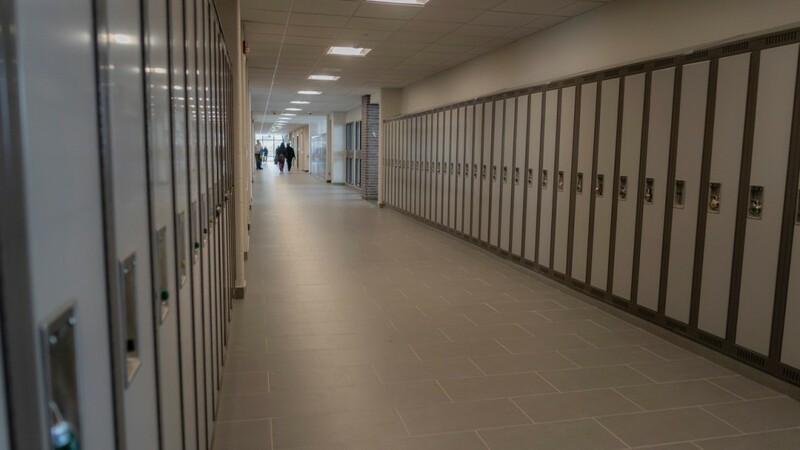 At a Special Board Meeting held on Tuesday, March 26, 2019, Trustees awarded Marrbeck Construction Ltd. the Beaver Brae Secondary School Capital Renovation Project. Phase 1 of the capital project work at Beaver Brae will begin in late April. Phase 2 of capital project work at the school will upgrade the parking lot and athletic field and improve accessibly at the school. 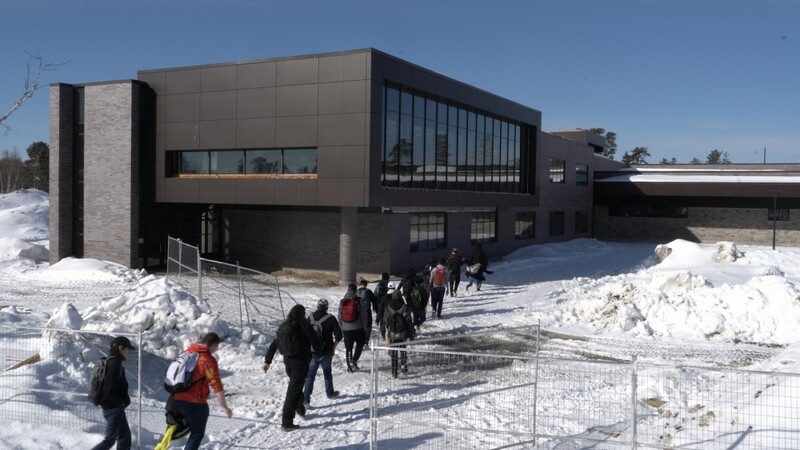 On Monday, March 18, 2019, our new school in Sioux Lookout, Sioux North High School, opened its doors to welcome students and staff for the first time. Many large window and glass features throughout the building allowing for plenty of natural light and open areas. A sizeable multi-purpose cafeteria/auditorium (or cafetorium) with full dramatic arts capabilities, including telescopic seating, integrated lighting, elevated stage, and a sophisticated sound system. New, state of the art equipment and spaces for shop classes, science labs, communication labs and food and nutrition programs. New furniture throughout the building. 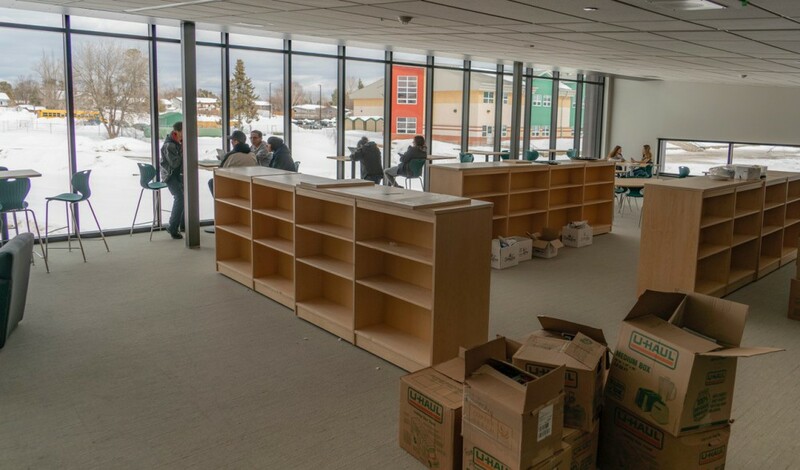 A large and bright library with a wall of windows including a variety of seating options and work stations for students. 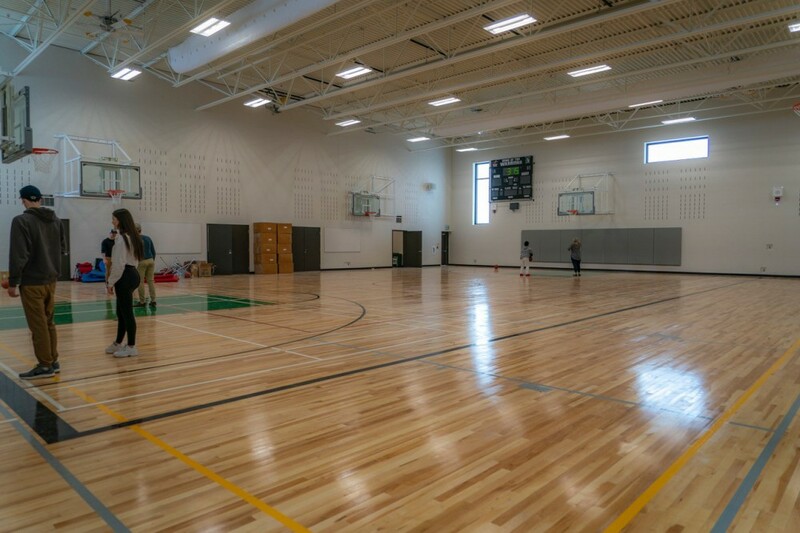 A gym with a hardwood floor and large windows that fill the gym with natural light. A new music room with skylights to allow natural light in and all new instruments to support the music program. The new school also includes spaces for our partners, including Confederation College and FIREFLY. 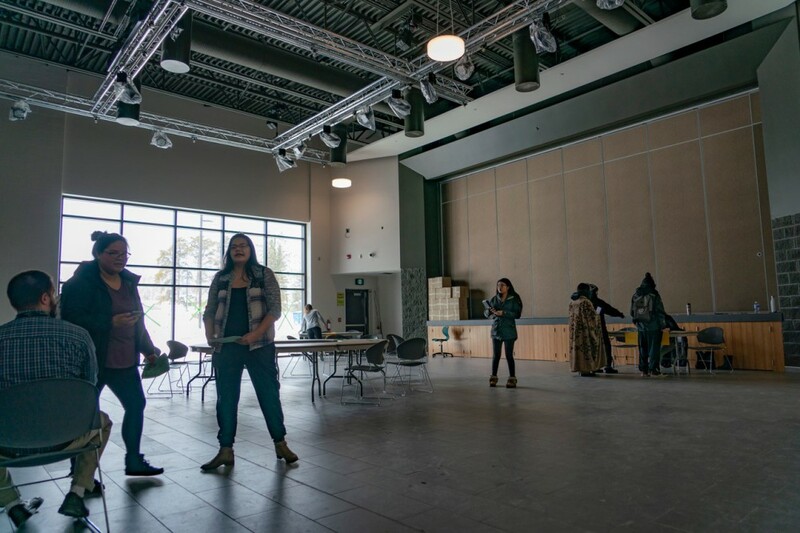 In April 2014, the KPDSB announced, in partnership with the Ontario Ministry of Education, the allocation of $30 million to build a replacement school for Queen Elizabeth District High School in Sioux Lookout. The architect contract for the new building was appointed to Evans Bertrand Hill Wheeler Architecture Inc. in July 2014, with the construction contract being awarded to Everstrong Construction Limited in August 2016 following two years of planning and consultations. Official construction of the building, following site preparation, began in the summer of 2017. A site blessing and groundbreaking ceremony for the new building was held in November 2015. In April 2017, following the work of a naming committee, Trustees approved the new name Sioux North High School for the new school, honouring the suggestion of students on the naming committee to name the school Sioux North. Trustees met at Dryden High School on Tuesday, March 5, 2019, for a regular Board Meeting. Renovation work at Ear Falls Public School will begin this month with fully occupied classrooms by September 2019. Non-classroom and exterior work will continue into the fall of 2019. Trustees awarded the Sioux Mountain Public School (Sioux Lookout) Roof Replacement Contract Tender to Lakehead Roofing & Metal Cladding Ltd. for a total cost of $1,100,000. Replacement of the room at Sioux Mountain is funded through School Condition Improvement funding from the Ontario Ministry of Education. Phase 2 of capital project work at Beaver Brae will upgrade the schools parking lot and athletic field and improve accessibility at the school.